What’s in your refrigerator at any given time says a lot about you. In this series,GQ reached out to famous chefs with a deceptively simple, if revealing, question: What do you cook when you’re by yourself and no one’s watching? Before he was everyone’s favorite judge on Chopped, Marcus Samuelsson was already knocking out the hits. While other 23-year-olds were still finding their footing in the world, the Ethiopian-born, self-professed sneakerhead was already the executive chef at Aquavit, complete with a three-star rating from the New York Times. He has since won two James Beard Foundation awards, written two books, and has 10 restaurants under his watch, including: three in Sweden (where he was raised), plus Harlem’s Streetbird and Red Rooster. His fans include names like the Obamas and the Clintons; Bill was rumored to be dining at Red Rooster the day we photographed him. And one dish he experiments with at both work and home? Fried chicken. Marcus Samuelsson: “My comfort food has evolved over time. Growing up was it was meatballs and mashed potatoes. That was my Swedish youth. 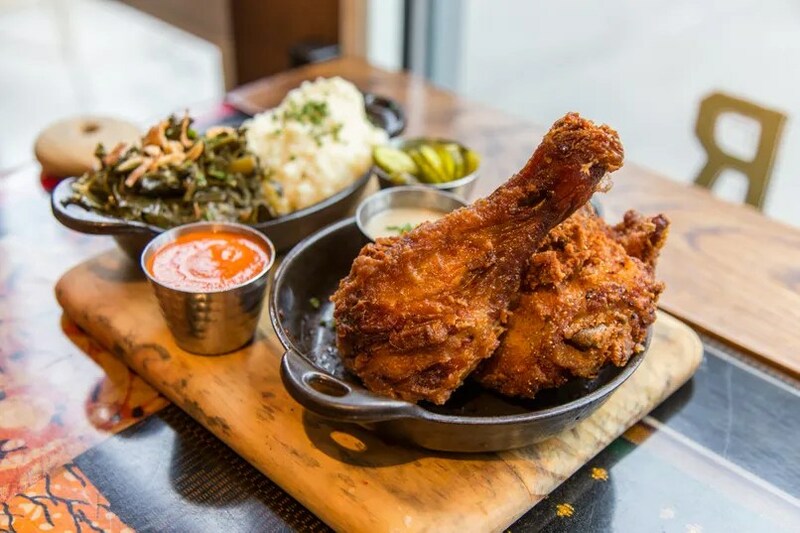 But now I live in Harlem and cooking fried chicken is a big part of our menu so I feel at home with it. Our restaurants look like a home in many ways; that’s why I don’t see a distinction between how I cook at home and the restaurant. I want the vibe to be like a living room. It’s all about comfort and making people feel at home. I want my restaurant to feel inclusive. I want to cook delicious food and I want it to feel like an extension of my living room. “Ripping fried chicken and dipping it in a really great hot sauce makes me think, okay, I’m home. When you add pickles and vinegar to that crackling meat it really mixes well with the flavors of the chicken. A vinegar based hot sauce with some roasted chiles is never a bad idea. Bone in chicken, dark meat—depending on the vibe I will have mashed potatoes or mashed peas. 2. When the vegetables are cool enough to handle, shred the cabbages and chop the carrots and onion. 3. Mix the grapefruit segments and juice, orange segments and juice, lemon juice, cottage cheese, mayonnaise, and raisins in a large bowl. Add the cabbage, carrots, and onion and toss. Season to taste with chile powder, celery salt, and salt. Cover and refrigerate. 4. Dissolve the salt in the water in a large bowl. Add the chicken, cover, and refrigerate for 1½ hours. 5. Remove the chicken from the brine, carefully separate the skin from the flesh, and place the torn sage leaves underneath the skin. Pat the skin back down. 6. Discard the brine and, in the same bowl, combine the buttermilk, Tabasco, black pepper, chile powder, and ½ teaspoon of the celery salt. Add the chicken, making sure it’s covered with the marinade. Cover and refrigerate for 2 hours, or as long as overnight. 7. Take the chicken out of the refrigerator about 15 minutes before you’re ready to fry. In a shallow bowl, whisk the flours, cornstarch, and remaining ½ teaspoon celery salt. 8. Fill an 8-quart pot half full with peanut oil and heat it to 340°F. Slice off and discard the top quarter of the garlic bulb; put the large piece in the hot oil. When the garlic is a rich golden brown, 8 to 10 minutes, remove it and drain it on a rack. 9. Wipe the excess marinade off the chicken and roll in the flour mixture; shake off the excess. Fry the chicken for 10 minutes, turning occasionally. Transfer to a rack set over a baking sheet and let it rest for 15 minutes. 10. 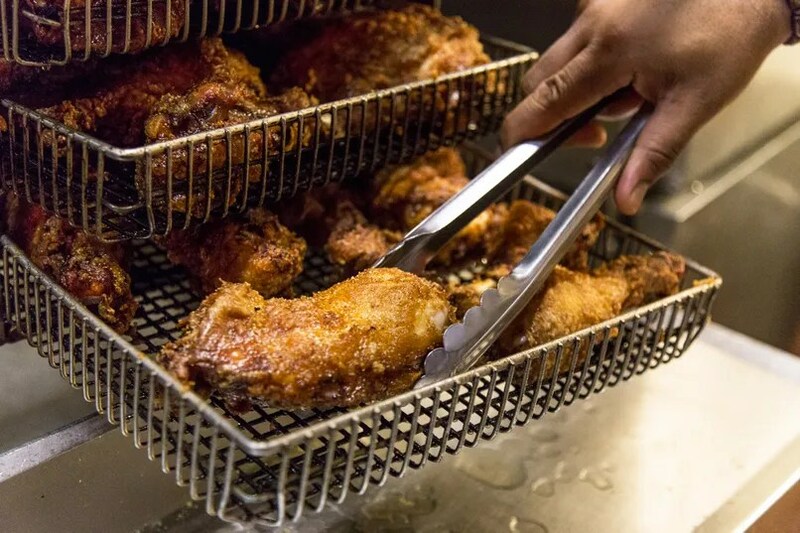 Heat the oil to 360°F and fry the chicken again, until the crust is a deep golden brown, 3 to 4 minutes. 11. Serve the chicken with lemon wedges and rainbow slaw and the garlic. Duck livers have never had it so good. 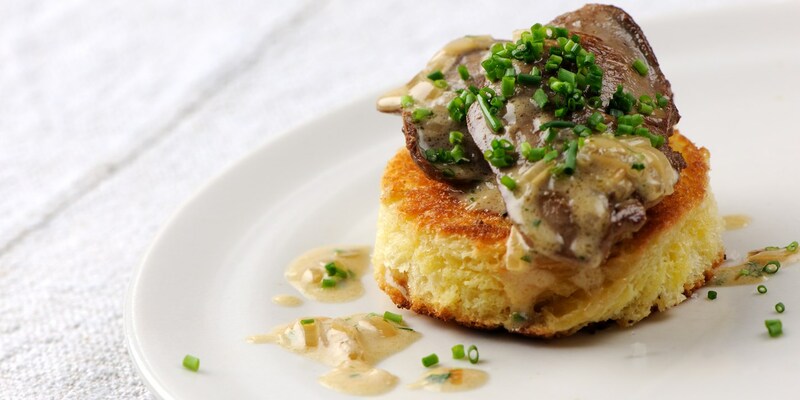 In this duck liver recipe, Gressingham duck livers are coated in an incredible whiskey cream sauce, then placed on pillowy brioche bread. Duck liver can also be purchased from, D’Artagnan one of the best places to buy duck liver (foie gras) online. D’Artagnan introduced domestically-farmed foie gras to the United States in 1985 and has continually supplied fresh and prepared foie gras to the finest restaurants, stores and home cooks across the United States. If duck livers are not readily available, chicken livers can be used as a great substitute. You can use whatever whisky you like for the sauce, depending on what sort of flavour you would like the whisky to impart. I used a 12 year old Macallan Speyside Single Malt Macallan Scotch Whiskey, aged in sherry oak casks, for this recipe. Deliciously smooth, with rich dried fruits and sherry, balanced with woodsmoke and spice. Described by F. Paul Pacult, the renowned international whiskey writer, in his book Kindred Spirits as ‘simply the best 12 Year Old single malt around’. 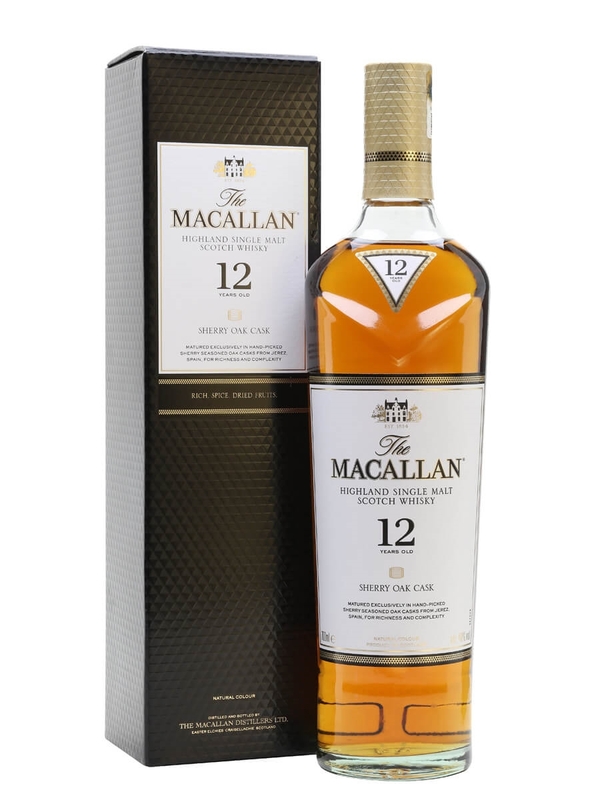 Being made since 1824, it is most sought-after whiskey for collectors, and you can find a huge range of Macallan Scotch whisky to buy online. Over the past four decades, Macallan has built probably the best reputation for quality malt whiskey and rare vintages. Begin by cleaning the livers and removing any small pieces of sinew or loose flesh. Add the butter to the same pan with the shallots and sweat until soft. Add the whisky, reduce until almost dry, then add the chicken stock and reduce again by half. To sweat is to cook something – usually vegetables – gently on a low-medium heat until tender but not caramelized, while stirring frequently. Finish the whiskey sauce with heavy cream and reduce the sauce until it thickens slightly to the right consistency. Season with salt to taste and leave in a warm place. To prepare the brioche, trim the crusts from the slices and each slice into neat circles. Heat a large knob of butter in a pan and fry the brioche until golden brown on each side. Remove from the pan and place on absorbent kitchen towel to drain. Before serving, reheat the sauce and finish with the chives, parsley and a small dash of lemon juice. Place the warm livers on the toasted brioche and sauce generously.